Everyone loves a pageant, right? 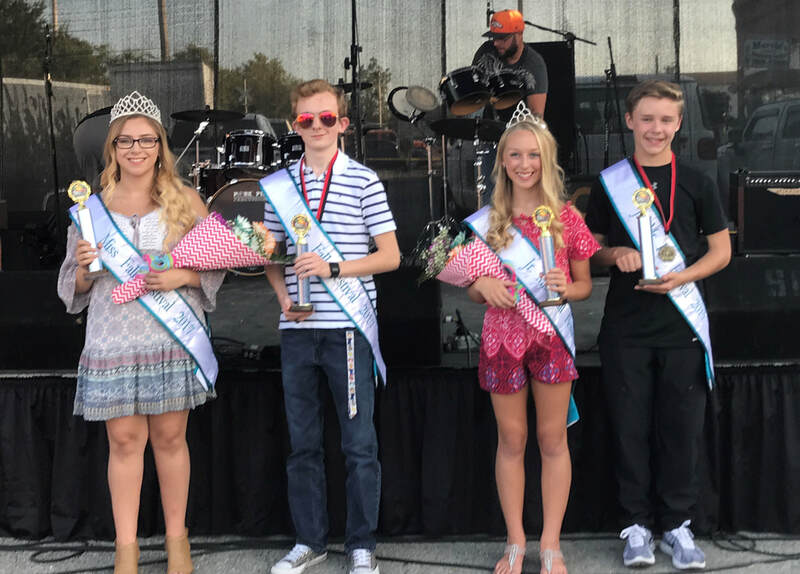 Join us at a time-honored tradition: Dixon Cow Days Fall Festival Pageant. If you are in Dixon Middle School or Dixon High School, this is your pageant! Students are nominated by their classmates to represent their class. Voting takes place during the two weeks prior to CowDays. Visit your local businesses to cast your votes. ​Join us on Friday, September 14th, @ 5:30 PM on the Main Stage, where contestants will be announced and royalty will be crowned. Congratulations to our Dixon High School Senior Class Royalty Pageant Winners: Queen Angelina Sturdy and King Kasey Kelley. Also, congratulations to our Dixon Middle School 7th grade class royalty pageant winners: Princess Kylie Doyle and Prince Dillon Haag.